Location, Location, Location. This is a unique studio located one block off bay front above the Rainbow Jo store in downtown Hilo. It is owned and operated by Rainbwo Jo clothing designer Michele Joy. It is spacious with a Queen bed and a double bed, a private kitchenette, and a full private bath with bathtub. The location is excellent. 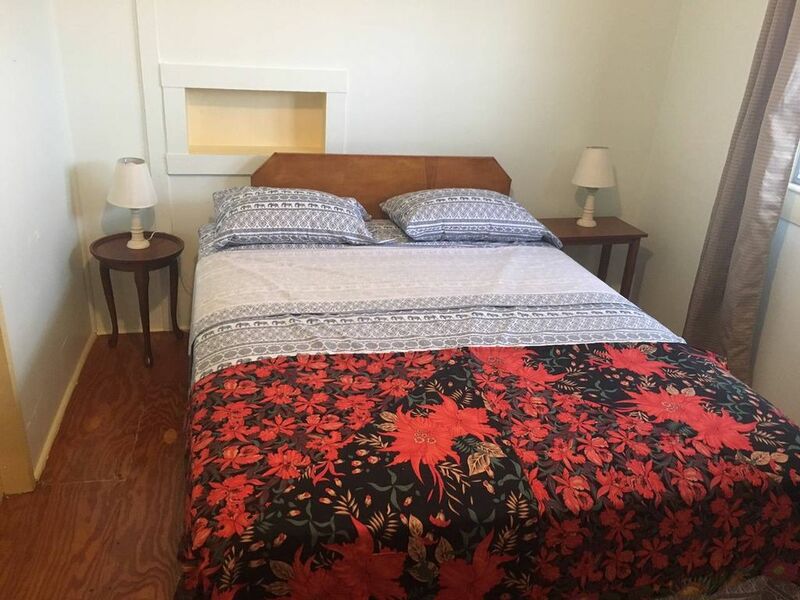 Walking distance to shops, restaurants, grocery store, health food stores and everything Hilo. Laundry hours are from 2-5 pm. Street parking. There is no on property parking. nice place! everything was as advertised - which is important! great location in the middle of the downtown area. Hope you make it back to Hilo sometime.